This book should be required reading for anyone studying the civil rights movement. I know that can be said for a number of titles, and there’s probably a few I haven’t read, but after reading these memoirs, written by one of the Little Rock Nine, I was floored by how much I didn’t know about the desegregation of Little Rock’s Central High School. The Civil Right’s movement is so vast and so large that when studying it, the events at Little Rock are mentioned briefly, if at all. I had read about Governor Faubus standing in front of the doors of Central High School and the President ordering federal troops in to protect the 9 Black students, but often times the story ends there. The nine students enter the school, the end. But of course the story doesn’t end there, the students faced persecution, torment, and physical and emotional abuse at the hands of fellow students; they faced indifference from the Arkansas National Guard, and they faced ostracism from members of their own community. Of course these students faced all these things, and yet I was floored reading Patillo-Beals’ account of her time spent at Little Rock. These students were some of the most courageous participants in the Civil Rights Movement. Not only did they endure physical harassment, including and incident in which a white student flung acid into Melba’s face nearly blinding her, but they couldn’t do anything about it. While being harassed in the cafeteria by a group of white boys, one of the Black students spilled her soup over them, either accidently or on purpose, resulting in her expulsion. To fight back was to let the segregationists win. While I thought I was more or less aware of the violence that went along with the Civil Rights Movement, I was still shocked at the physical attacks that these teenagers faced every single day. It really puts things into perspective and provides a look at the Civil Rights Movement through the eyes of a teenage girl. 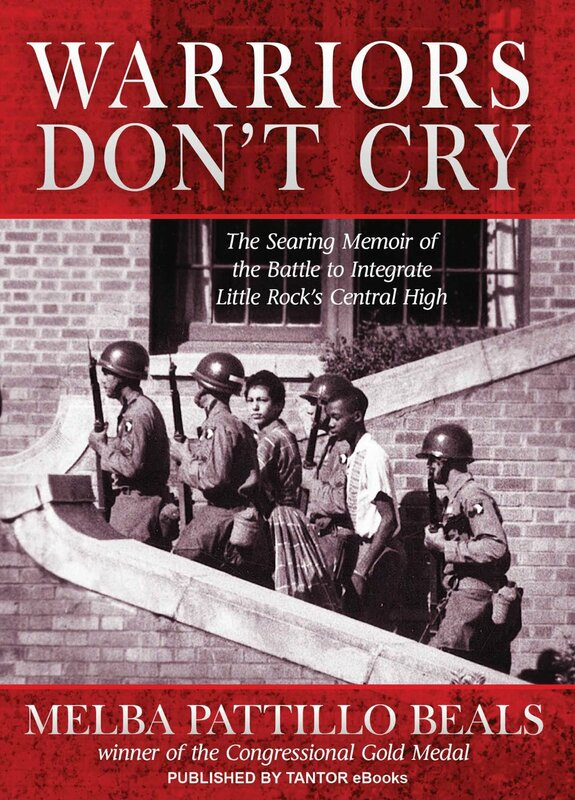 This entry was posted in Reviews and tagged 1950s, African American History, American History, Arkansas, Civil Rights, Civil Rights Movement, Integration, Little Rock, Little Rock Central High School, Melba Patillo-Beals, Memoir, Non Fiction, Review, Warriors Don't Cry on September 29, 2015 by kwils3.